Constant advances in technology are making monitoring instruments better. New components offer a variety of options and customizations that were not available a few years ago. However, some of these new gauges and transmitters may not be the most cost-effective measurement instruments, especially if the extra features go unused. In today’s competitive markets, cost is one of the most important buying criteria. Operators have to evaluate their options carefully and to choose the best yet lowest-cost instrumentation that fits their needs. 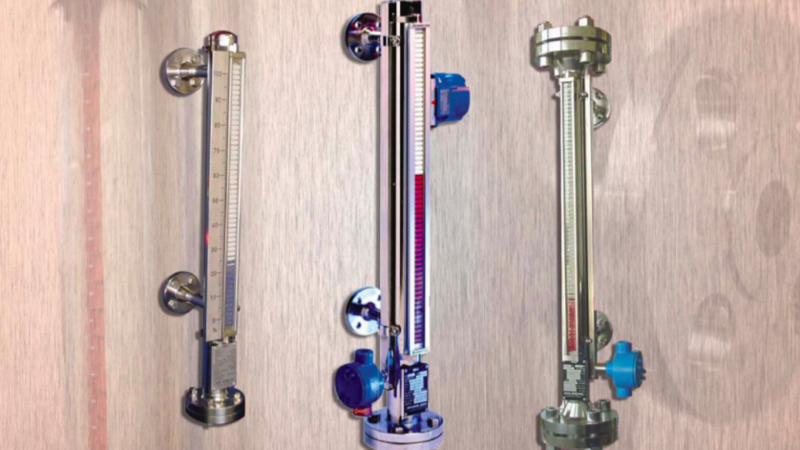 A reed chain transmitter is a cost-effective, reliable option for continuous liquid level monitoring in many applications. In a reed chain transmitter, a float with a built-in magnet actuates small reed contacts through the wall of the level chamber and the guide tube. These reed switches form a resistance measuring chain that continuously generates a voltage proportional to the fill level. This information is then transmitted to the display as a current signal. Recently, WIKA worked with an ammonia plant in Oklahoma to address the need for reliable level measurement and contain costs. Plant workers added a magnetic level indicator so they could visually see the level of lube oil for a critical compressor. An analog output was needed to track the level in the lube oil. They had considered using radar, but because of the extremely high pressure (5000 psi), that option was considered impossibly expensive. However, by adding a reed chain transmitter to the magnetic level indicator, they were able to gain a much needed output to their control room at a fraction of the cost of radar Instrumentation. Reed chain transmitters provide the same level of service as a glass gauge but at 2/3 of the price. In fact, this one replacement saved the company $8,000. All plants have maintenance schedules which includes everything from replacing valves, repairing leaks, and calibrating instrumentation. Most smart instrument manufacturers recommend calibration on their instrumentation every 6-12 months. These PMs are typically a cost that is factored into the daily operations of plants. It requires many staff hours and ultimately takes away from the bottom line of a plants profitability. Guided wave radar seems to be the industry standard these days. The technology has exponentially improved over the past decade. However, with every instrument there are positives and negatives, and it’s up to plants to make the best decision for their specific applications. There are cost alternative solutions that can offer the same reliability and relative accuracy to these instruments. One technology stands out as it will never require calibration and can be tested using a simple multi-meter with an Ohm reading. Reed chain transmitters have been around since the early 80’s and are still offering their inherent robust design. The combination of physical reed switches and resistors along a circuit board makes for repeatable and low cost level measurement. 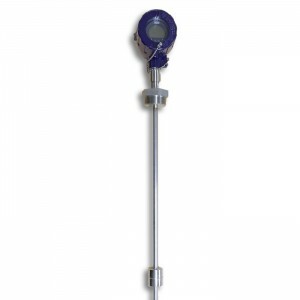 The technology can be used in conjunction with magnetic level indicators or direct inserted into processes. While new technology may offer options in monitoring devices, you have to ensure they are benefiting your process instead of simply adding to your operational costs. Call WIKA’s experts today. With years of field experience, they can review your application and help you select the most cost-effective monitoring instrumentation that best fits your application.